As striking as it is simple, Movado Sapphire achieves its distinctive appearance through a flat sapphire crystal that flows seamlessly to the edge of the round, bezel-free case. Elegantly monochromatic with an outer ring of matching metallization coloring the inner surface of the crystal. 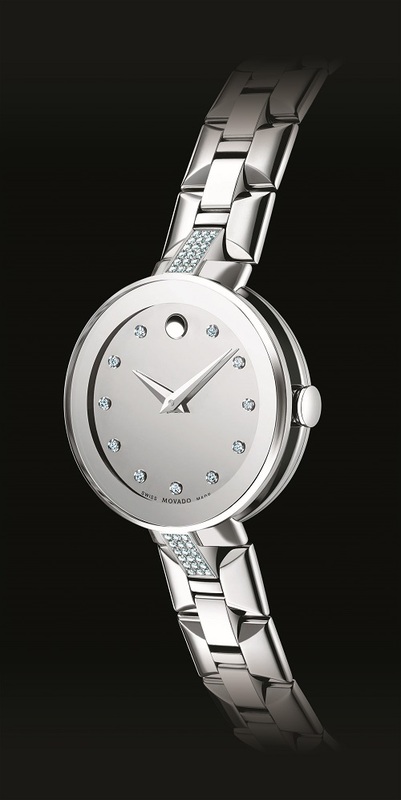 For 2014, this sophisticated collection captures the essence of Movado’s modern design aesthetic in a new women’s model.